events you'll want to mark in your calendar! Making every day a reason to celebrate! Join in on our seasonal challenges like the annual Graphics Gift Exchange or the Summer Rumble. Missed out on those? No worries! We have a Color Challenge of the Month that will add a little color to the days in between. Our Color Challenge of the Month has been running for seven years. As a tribute to calendarsquares and its amazing members, here's a proper showcase of our Icon of the Month winners. Hello, everyone! We're nearing the close of calendarsquares, so here are a few quick reminders for the challenges that are still open. The following color challenges are still taking submissions! If you're participating in the Finale Rumble, this can earn you up to +8 bonus points! Just be sure to get your submissions in before the voting for Round 04 closes. The voting for our fourth and final round of the Finale Rumble is open until end-of-day tomorrow! If you haven't had a chance to vote yet, please take a moment to do so! Members of calendarsquares who are not participating in the rumble are welcome to vote as well. Just leave the Rumble ID portion blank. Hello, everyone. I'm finally back from a hectic holiday break and ready to catch things up here. Thanks so much for your patience these last couple of weeks. Your entries for Round 04: The End are due end-of-day today Saturday, December 1! ■ You can find the submission post here. Hello, everyone. Happy Thanksgiving! Sorry for the delay in closing Round 04, I had some unexpected holiday obligations pop up so I'm going to have to post another extention. Your entries for Round 04: The End are due end-of-day Saturday, November 24! Hello, everyone! I've run into a scheduling conflict, so Round 04 of our Finale Rumble is getting a short extension. Your entries for Round 04: The End are now due end-of-day Wednesday, November 21! If you've already submitting your entry for Round 04, don't forget to check out our current Color Challenges. Participating can earn you up to +8 bonus points! 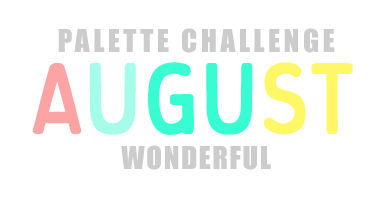 Your challenge this month is a color combo! Please be sure to use both colors in your submissions. What do you think of Marry Her & Wedding Cake? Thanks to everyone who participated in August's Color Challenge of the Month!